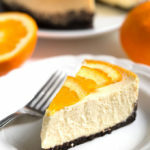 Pressure Cooker Dreamy Orange Cheesecake has become my number one favorite cheesecakes of ALL TIME! I make cheesecake in my Instant Pot often, and I love how creamy it turns out! 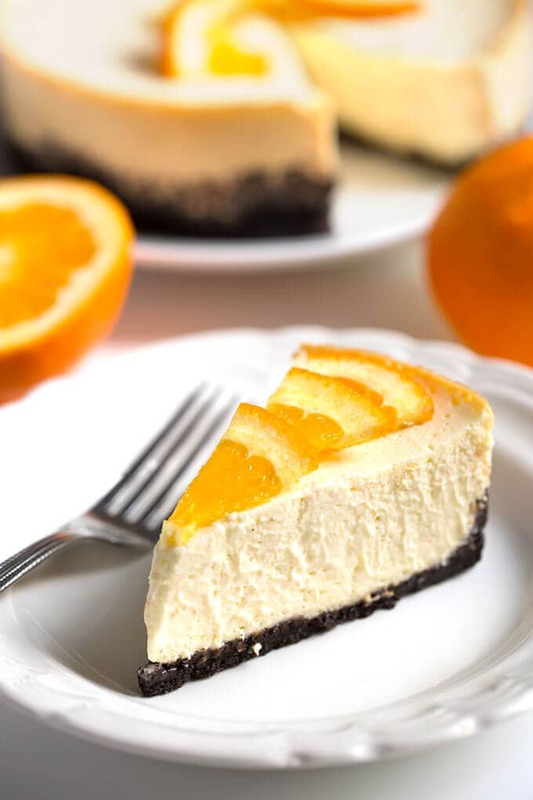 You can make an amazing Instant Pot orange cheesecake in your electric pressure cooker! This is the cheesecake I’ve been dreaming about adapting for a long time. 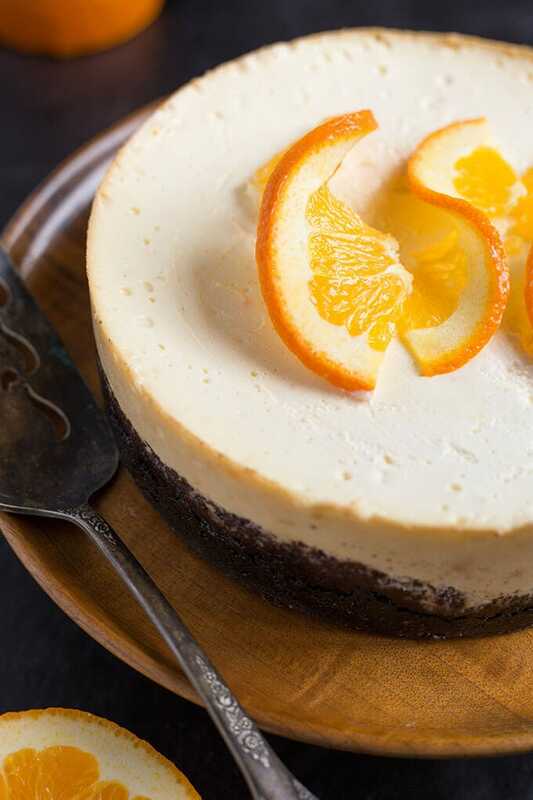 When I made my first pressure cooker cheesecake in my Instant Pot, I knew that someday I would come up with a recipe for this family favorite orange cheesecake that would be worthy of the best party or special occasion. And I did! Do you like orange? Do you like chocolate? Me too, so I combined them in one incredible cheesecake. Pressure Cooker Dreamy Orange Cheesecake has a crust made from chocolate sandwich cookies that I scraped the filling out of. If I could find those without filling, that would be great. But it didn’t take long. The cheesecake filling has orange zest and fresh orange juice. You need to use fresh for the best results. When I make something that tastes this good, I have to send it with Paul to work. His coworkers get to enjoy some homemade treats while the temptation is out of my way. I could seriously eat the entire cheesecake in one day. The taste of fresh orange in a creamy cheesecake. 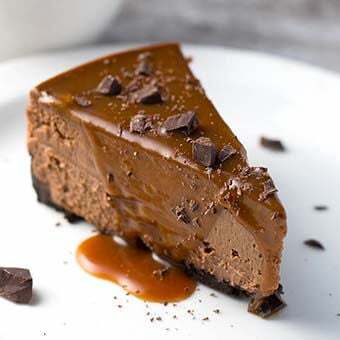 A chocolate crust is a combination of crisp and sweet and goes perfectly with the orange flavor! 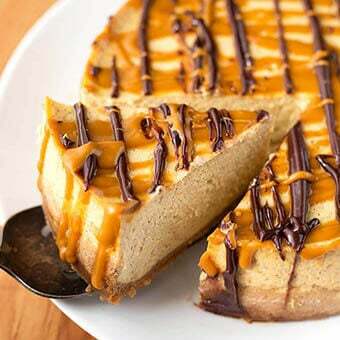 Cook this cheesecake in your electric pressure cooker! Use a 7 or 8 inch cheesecake pan (I use a 7” push pan, but you can use a springform pan as well. Whatever will fit comfortably in your pressure cooker). Scrape the filling out of the cookies and place them in a food processor. Discard the filling. Pulse several times until the cookies turn into crumbs. Pour crust mixture into your prepared pan and use your fingers or the bottom of a small glass to press the mixture into place. Cover the entire bottom of the pan and come up the sides a little. You do not have to come all the way up the sides. You want the crust to be about 1/4” thick or so. Put the pan in the freezer to chill and firm up while you prepare the cheesecake filling. Add the cream cheese and sugar and process until smooth and creamy. Add the orange zest, orange juice, lemon juice, vanilla, sour cream, and heavy cream. Pulse a several times until well combined. Add the eggs last. Pulse just until combined. If you whip the eggs too much the cheesecake will puff up and won’t have the right consistency. Press the Manual (or Pressure Cook) button and then the + or - button to choose 36 minutes. When cook cycle ends, let the cooker naturally release pressure for 15 minutes. Then manually release the remaining pressure. Leave covered for a 10 minutes, then carefully peel off the foil/paper towel. 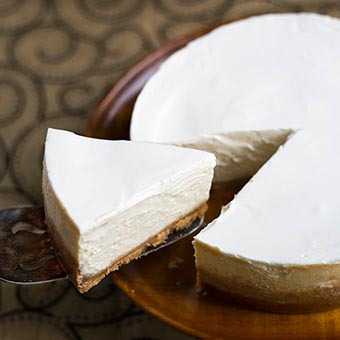 Test the doneness: The cheesecake should be a little jiggly when you shake the pan. It will firm up in the fridge. You don't want it really jiggly, and if it is, put the foil/paper towel back on and cook it for 5 more minutes, with a 10-15 minute Natural Release. Let cool for an hour, then put the pan in the fridge to chill for at least 4 hours before serving. I prefer to make my cheesecake in the evening and let it cool overnight. Remove from pan and serve as is, or with whipped cream. Looks yummy. Would orange oil be a good substitute for the orange juice? I think so. Go easy on it as the zest is strong. Would orange extract be ok in place of orange zest? I think so. I don’t know the equivalent, so hopefully there is a chart of something to show you. I really don’t feel like the filling is even noticeable in these kinds of crusts, but another option for you could be chocolate Teddy Grahams. Thanks for sharing this recipe- can’t wait to try it. Thanks Karen. It is a bit of work to scrape them all. I know some folks don’t like the high fructose corn syrup in the filling, so scraping it out and adding sugar, or not is an option for those folks. I myself have not tried this with the filling, so I might have to do that! I like the idea of the Teddys, thank you for the tip! Oh no! I’m sorry that happened. That is so strange because I have made this many times. Is your pot on High pressure? Sealing properly with no steam leaking? Did you do a 15 minute natural release? Leave it covered for 10 minutes after taking it out of the pot? What kind of pan did you use? Also, it can be a little jiggly in the middle. It firms up when chilled.